In many ahadith of the Prophet Muhammad ﷺ, there is a praising mention of the Yemenis and Yemen in general. He called them the best people with the best Iman and praised their soft-heartedness and bravery. 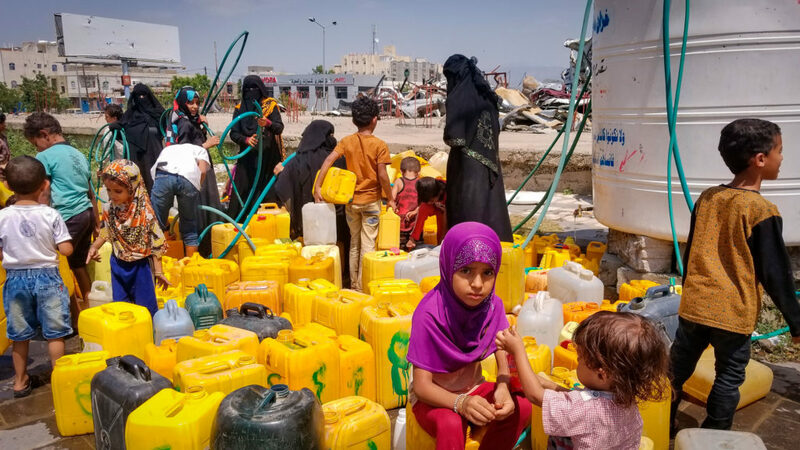 Unfortunately, the past few years have put the Yemenis in a dire situation. Political discords brought forth inner conflicts, and the country is taken over by war. The humanitarian crisis is getting worse day by day, and hunger and illnesses take just as many lives as the weapons. Salsabil surely cannot stop the bloodshed, but we are still capable of saving thousands of lives. We have provided humanitarian aid several times in Yemen. For instance, in 2017 and 2018, repeatedly, we delivered food, medications for the hospitals, formulae and hygiene products. This mission requires a large budget, therefore we ask you to take part in it and help us continue with our work, even with a modest donation. Could we possibly let people die knowing there is a chance to save them? May Allah bless you all and reward you for every little charity, and may He make it weigh heavy on the scale of good deeds and grant you the highest rank of Paradise.